The Junior Breeze by Fanimation is the perfect portable fan to keep you cool. 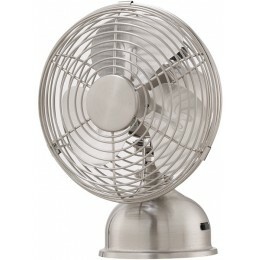 Available in brushed nickel with aluminum blades, this oscillating fan has a rechargeable battery that lasts up to four hours. Blade Pitch Blade Pitch Not Available. Optional Blades No other blades available for this fan. Room Size From 50 sq. ft. to 100 sq. ft.(room length X room width=sq. 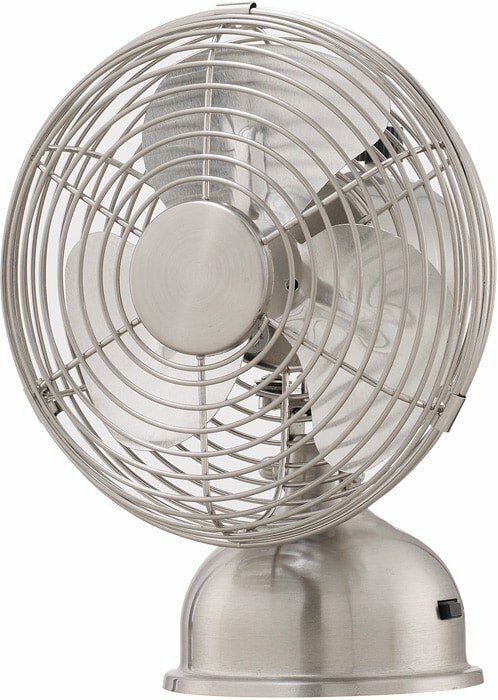 ft.)We determine the room size for a fan based on the of airflow the fan produces (CFM) and the fan blade span (measured in inches).